Master craftsman Bob Fuller was fortunate to have grown up in a boat building family, where he apprenticed under his father and grandfather. The family developed the Edson Yacht Wheel and has been making wheels for Edson International in New Bedford, Massachusetts since 1965. 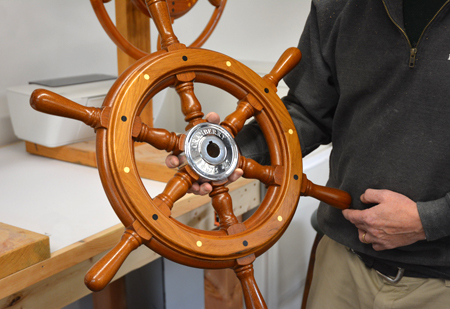 In 1990, Bob founded his own shop, South Shore Boatworks, which specializes in custom boat building, finishing and restoration work, and handmade wooden ship’s wheels. 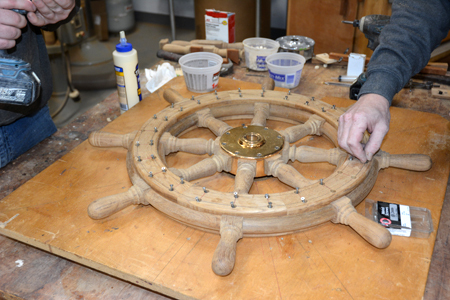 In fact, Bob Fuller may be the only craftsman in the country today who is still making wooden ship wheels by hand. 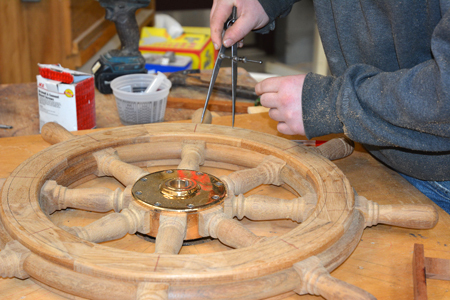 This highly specialized maritime craft involves pattern making, metal working, marine joinery, and fine woodworking. 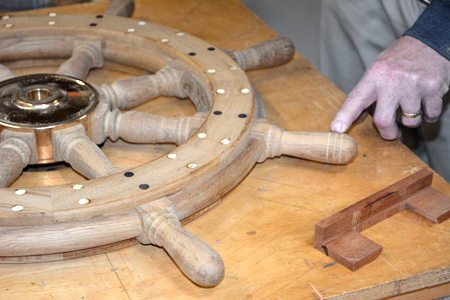 There are only a limited number of places to learn marine joinery. Although a few boatbuilding schools exist along the New England coast, one of the best ways to learn is one-on-one under the guidance of a skilled master. 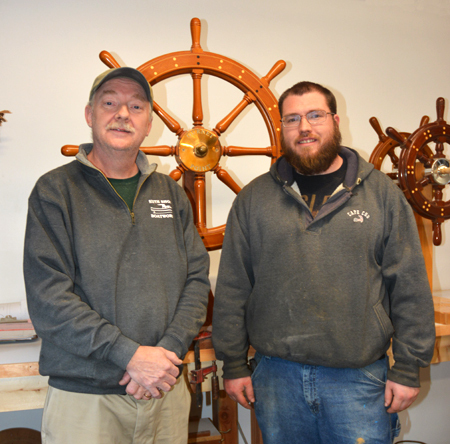 Bob Fuller and John O’Rourke were awarded an MCC Traditional Arts Apprenticeship last fall. They typically meet on Sunday mornings from 8:30 to noon. 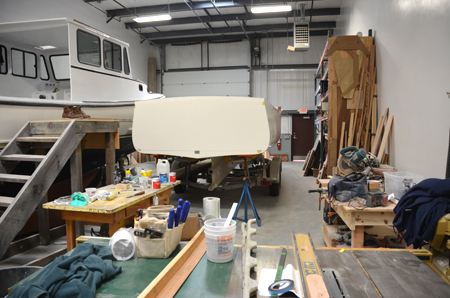 We were there to check in on their progress and observe some of the In late January, Russell Call and I paid a visit to his South Shore Boatworks in Hanson, Massachusetts. You might expect such a place to be situated on the water, but it’s located in an Industrial Park, 30 miles from the coast! The wheel John was currently working on when we visited is about 2/3rd done. Twenty-eight inches in diameter, it has eight spokes. “There’s a lot that goes into the actual finishing of it, Bob stresses. “Sanding it, hand sanding and then lots of coats of sealer and varnish. . . The wheel I just finished for a customer, the process, the varnishing, was a total of two coats of sealer, and eight coats of hand varnish. And it was a big wheel. 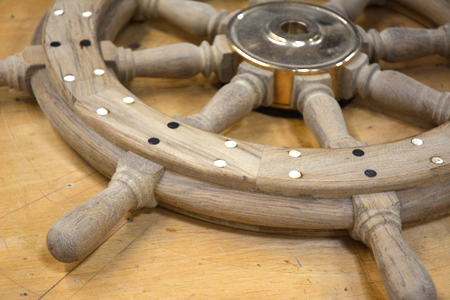 It took me roughly two weeks to finish it.” A wheel like this sells for between $2,800 and $3,000. The price can go up from there depending on its complexity, that is, whether is has additional brass band on top or custom engraving on the hub. 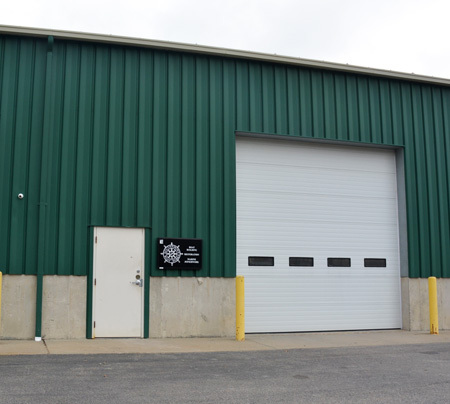 In addition to building wheels for Edson, Bob Fuller has customers around the world. 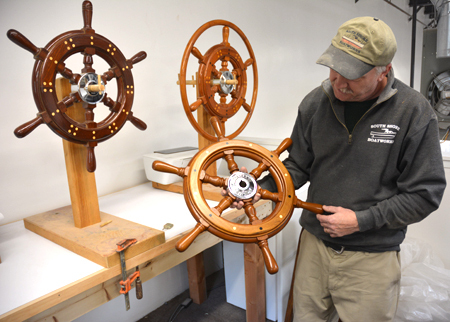 Last year he was commissioned to build a wheel for the 50-foot, passenger-carrying lobster boat that services Acadia National Park. High profile wheels include a replacement wheel for Robert Kennedy’s wooden yawl Glide. It was interesting to hear Bob talk about a recent wheel commission for the new luxury fiberglass motor yacht Cakewalk, built by Derecktor Shipyards. “It was an afterthought. The whole bridge on this boat was set up for using computer settings and all that kind of stuff, but both the captains, an Australian and an American captain, they felt strongly that that boat need a wheel and it would have looked really funny without it. It’s kind of strange today because, with all the computerized stuff — the joy sticks, they call it ‘fly-by-wire’ — a lot of boats don’t have steering wheels anymore. But it’s such a part of our heritage and tradition, that I think it’s going to continue onward. 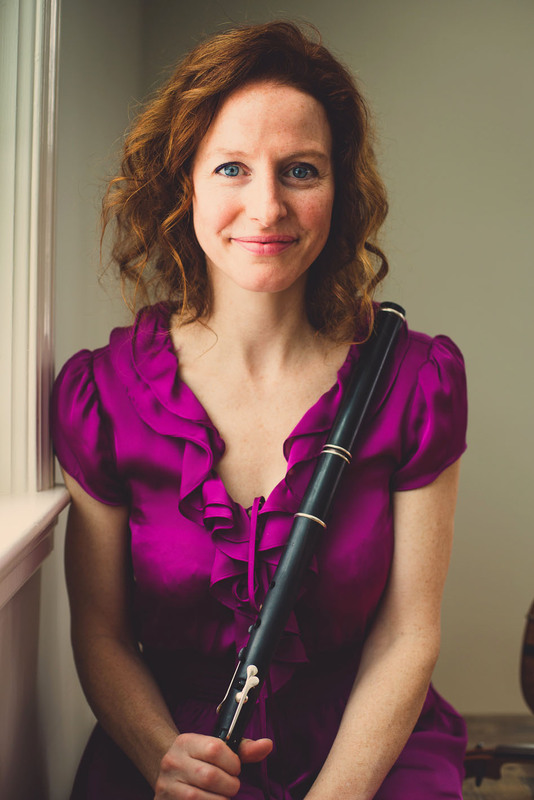 Maggie Holtzberg runs the Folk Arts & Heritage Program at the Massachusetts Cultural Council. Photos by Russell Call.